In Previous article, we have consumed the standard enterprise wsdl of the salesforce. In this article we will create the webservice using apex in salesforce and consume it in C#.Net application. Apex class in which webservice is going to be written must be declared “global“. Keyword “webservice“ must be used for a method which should be exposed as a webservice. Method must be declared as static. In above code, I am using a custom object “Expenditure__c“ to insert into Salesforce. Any type of code can be written. Add the reference to “enterprise WSDL“ as shown in previous article. In this case, name of web reference added is “SFDCCustom“. To login into application, use the Enterprise WSDL and after that use custom WSDL (That’s why we have two objects of the binding). After login update “SessionHeaderValue” by the custom WSDL sessionHeader. After setting the session header, change the URL of the binding object. In drop down list, the names of the person added must be available in Salesforce, so that the SOQL to find the person object should return the value. Can You help me ….Please. 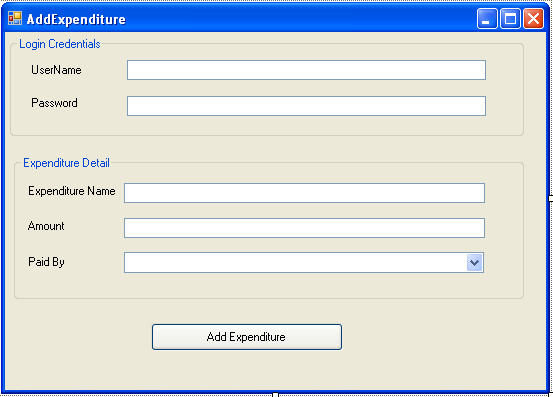 This Custom Object “Expenditure__c” must be present in your org then only you can use it. are there something I missed when copy paste example source code? of integrating biztalk and salesforce. ?it’s very urgent.please help me!!! I am new to salesforce. I am here to integrate my basic windows app (visual studio) data to sales force lead. I followed your first tutorials and connected to sales force API. got all the salesforce objects into message box. So while following I couldn’t how to connect to sales force and load data to lead. Can please help me with load data into sales lead using windows app.